Dream board ideas are great sources of inspiration to visualize the future destination of your business. Also known as a goal board or a vision board, a dream board is a visual tool that can help you define, understand, and focus on your goal. This approach also aids you to set your priorities and check your progress. Due to its efficacy, many people are using vision boards to evaluate and achieve their goals. Even the famous celebrities like Ellen DeGeneres, Oprah, and Katy Perry credit dreamboarding for their thrilling success. 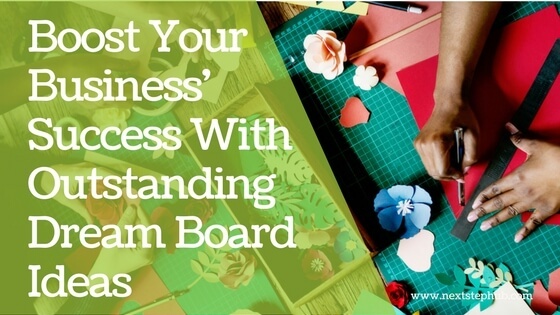 But the question is, can dream board ideas really help you and your company? And how can you create an effective dream board? A study by TD Bank revealed that business owners who used vision boards felt twice more confident in achieving their goals than those who don’t use this technique. By putting images, objects, or words on your board, you are immersing yourself in your goals in a multi-sensory and experiential way. You are empowered to work towards them because they feel more real and possible. By creating a dream board, you’re refining your vision. This is important because an entrepreneur’s vision shapes the development of the business. It can also guide you in making crucial decisions, such as your business’ location, target market, and sales strategies. Also, when you know what you want, it will be easier for you to stay on track and focus on things that matter most. Vision boards can save you from negative thoughts when challenges and struggles arise. It has the power to distract you from doubts and self-criticism. By simply looking at your board, you’ll be reminded of the desired future you’re working to achieve. It can also remind you of your progress and your small accomplishments. Building a vision board with your employees encourages teamwork and engagement. It will boost your team’s creativity as well because they’ll be inspired to create effective solutions and strategies. Also, when you allow your team to give their inputs, you’re letting them know that you value their ideas. As a result, they’ll be more driven to work with you towards your team’s breakthrough. Take some time to reflect and identify the things you want to achieve. What are your entrepreneurial goals? Do you want to increase your profit, reinvent your marketing approach, or simply improve the company’s culture? Once you have identified them, list down the specific course of action that you will take to achieve them. You can also add the challenges that you might encounter and the things you need to do to overcome them. Look at your list of vision and action plans, then search for pictures or symbols that suit your list. You can use old magazines and newspapers. You can also print your favorite quotations or an image of a person you look up to. Paste or pin the images on your illustration board or cork board. There’s no specific rule in designing your board, so play around and unleash your artistic side. Pro Tip #1: Looking for unique ways to design and arrange your dream board? Let Pinterest inspire you! The platform has thousands of interesting visuals and enticing designs that you can use for your board. Creating a vision board will not be the same without your employees, so invite them to build it with you. They also work as great team building projects for retreats. Aside from your team’s vision board, you can also ask your workers to make their own dream boards. This will help them analyze how they can empower themselves and advance in their careers. If you don’t have enough time to build a traditional vision board, you can use vision board apps. These are also ideal for entrepreneurs who work with freelancers across the globe. Vision board apps let you easily create and customize your dream boards everywhere. Some of them have built-in image libraries, which saves you from searching the web for the right photos. 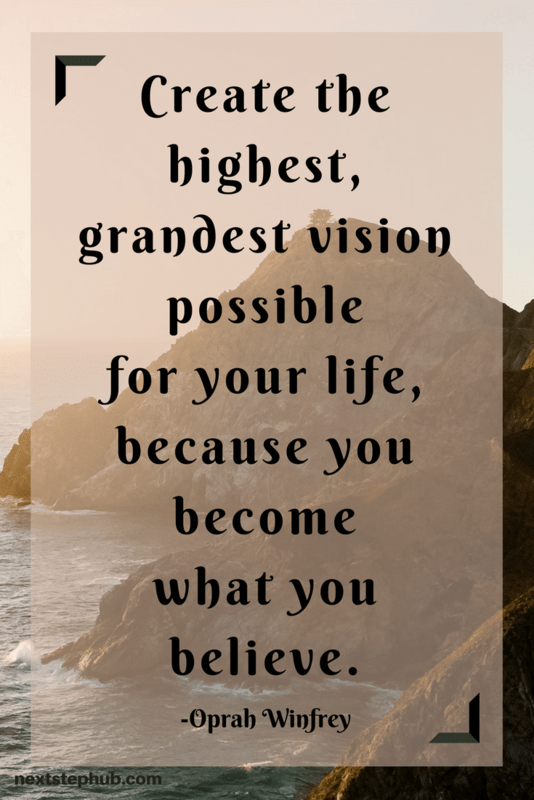 The most recommended vision board apps are Subliminal Vision Boards, Hay House Vision Board App, Wishboard, Visuapp, and iObeya. Pro Tip #2: Did you know that you can quickly build a virtual vision board on Pinterest? Just create a new board and start pinning the images you like. You can even set your board on private or share it with your team. Dream board ideas speak beyond the pictures and words. It spells out the message of the drive, passion, and motivation to thrive for the business that you’ll be proud of. It inspires you to stay confident and keeps you moving forward. How did dream boards transform your business? Tell us your success stories below!